LXC is very flexible in nearly every imaginable aspect. It's also very performant and rock-solid, and like other similar virtualization methods it doesn't waste unused system resources. Getting started with LXC is kinda complicated. Configuration has ton of options, tools can be confusing and behaviour in some aspects is not very intuitive. I'd recommend reading example configs by other people, trying to understand what they did. Used LXC before Docker was around for locking applications into small containers, mostly webhosting related. Build a few bash-scripts basically doing with LXC what Docker was initially designed for. 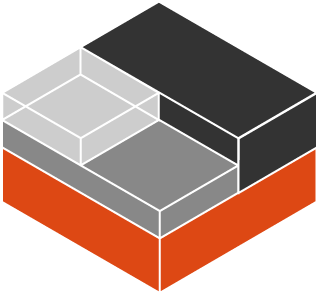 "The easiest container system ever"
I'm in love with the ease of use of the LXC and its great integration with Ubuntu. Some parts, like the storage and migrating containers, as well as some more advanced networking features aren't well documented. Isolating different systems to run as containers. * We monitor all LXC reviews to prevent fraudulent reviews and keep review quality high. We do not post reviews by company employees or direct competitors. Validated reviews require the user to submit a screenshot of the product containing their user ID, in order to verify a user is an actual user of the product. Hi there! Are you looking to implement a solution like LXC?